Bangkok is not only Thailand’s bustling cultural center, but it’s also an ideal jumping off point for several fascinating day trips. Don’t miss these excursions to ancient ruins, an authentic floating market and alluring museums. 1. 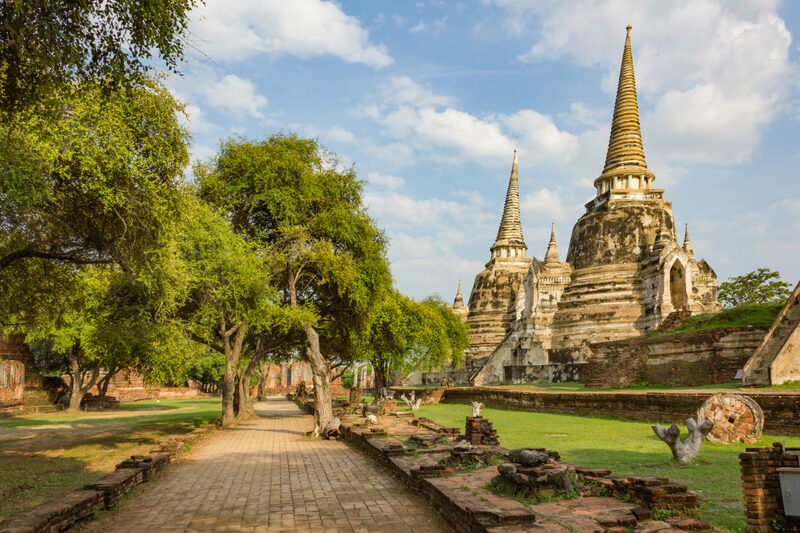 Explore the Ancient Ruins in Ayutthaya. 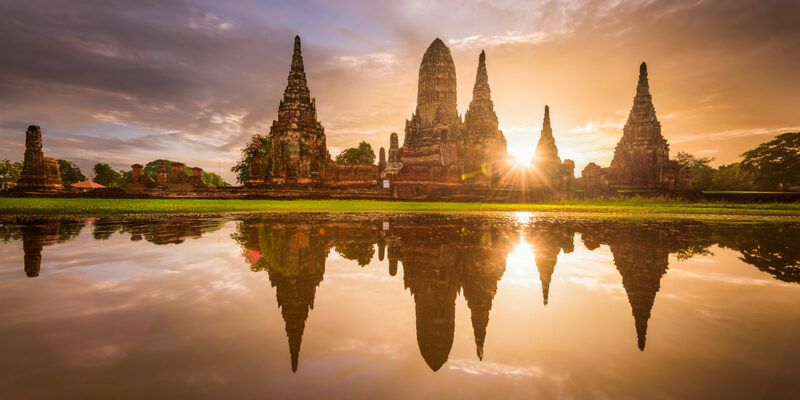 As an archeology buff, I was intrigued when I heard about an entire complex of Buddhist temple ruins in the ancient city of Ayutthaya, a UNESCO World Heritage Site. It’s a two-hour train ride from the heart of Bangkok, and the journey was every bit as memorable as the ruins themselves. Bangkok’s central station is a hub of activity, with a connected outdoor market and trains coming in from and going out to all corners of the country. The scenery was beautiful as we left the city, and it was fun to mingle with local commuters during the ride. We opted to tour Ayutthaya Historical Park by bike, so we rented some wheels and cruised among structures dating back as far as the 14th century. Ayutthaya is home to dozens of ancient temples; we only had half a day to explore, so we chose to visit a few that particularly piqued our interest. One of our favorite temples was Wat Chaiwatthanaram, a stately 17th-century ruin featuring eight majestic spires. The corridors cast dramatic shadows, and rows of crumbling stone Buddha statues guard the walls, giving the temple a mysterious air. 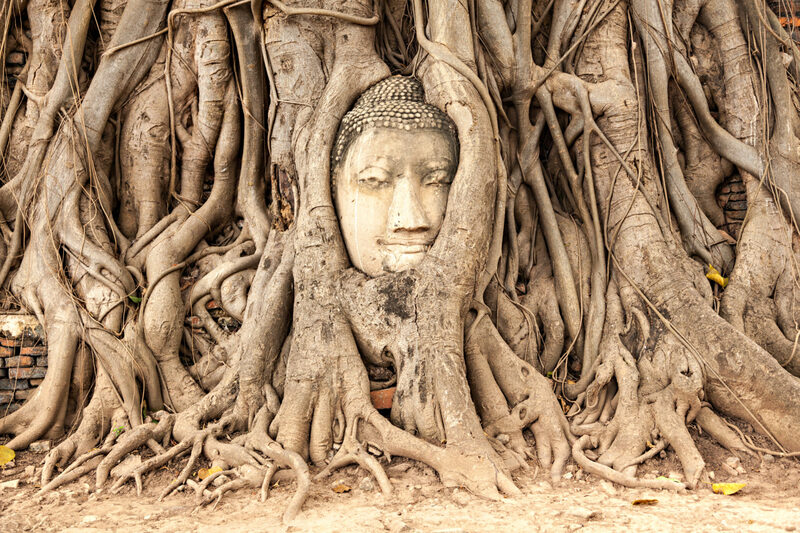 The Wat Mahathat ruin is home to a curious attraction that people flock to see and photograph: a peaceful Buddha face poking out from amidst the roots of an old banyan tree. We worked our way through the crowd to look at the eerie figure; on the train ride home, we tried (unsuccessfully) to solve the mystery of how the statue came to be engulfed. Don’t want to bike? You can also explore Ayutthaya by taxi, private car, tuk tuk or on foot. There’s plenty to see here, so visitors can easily make this site a two-day trip. 2. Feast at a Floating Market. 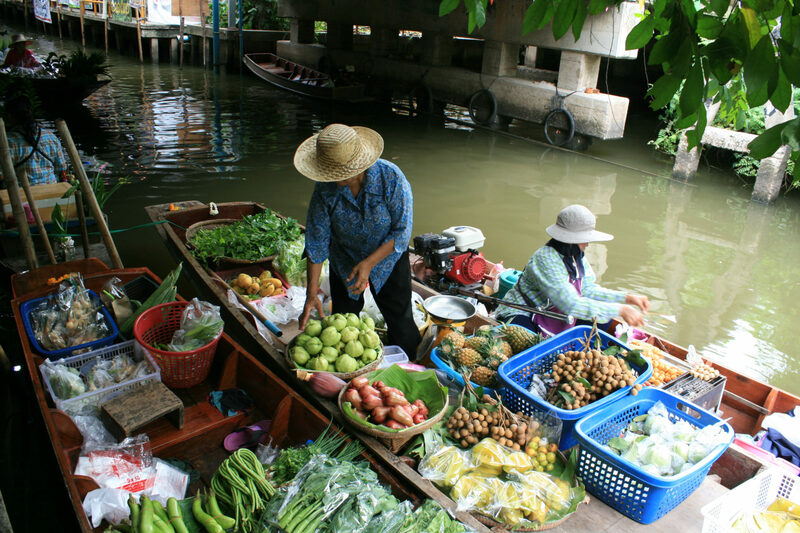 I love experiencing the local food when I travel, and I quickly learned Bangkok’s floating markets are an excellent way to do so. A few decades ago, the canals surrounding the city served as intricate networks connecting neighborhoods. The villagers conducted their daily business — such as shopping, eating and delivering goods — via boat. Over time, the markets grew and most vendors eventually moved to the piers. 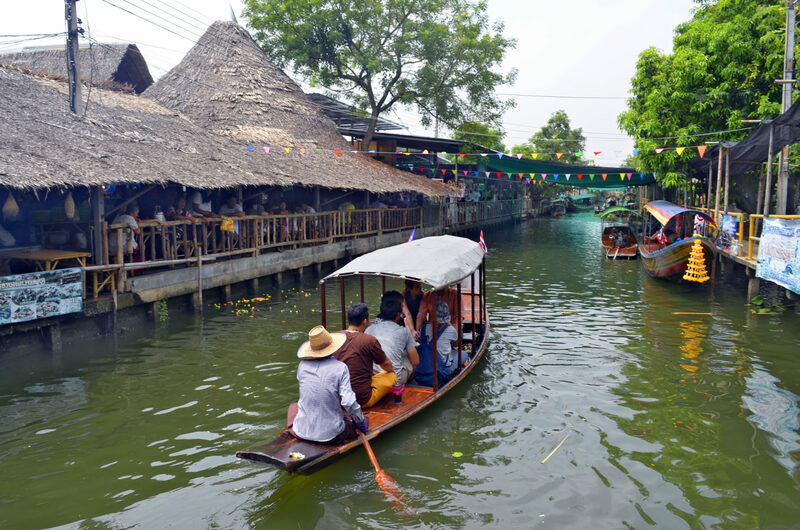 These days, the few floating markets that remain in Bangkok are mostly for the sake of visitors. However, we’d heard that Khlong Lat Mayom — located on the outskirts of the city — is still a locals’ spot, so we decided to check it out. It took nearly an hour to reach the marketplace by train and taxi. But we knew we were in the right place when the flurry of colors and smells hit us as we stepped out of the car. Countless options unfurled before us, though not all of them were on boats — while some vendors at the market are literally floating, others are set up in stands along the canal. Nearly every vendor we encountered sold something different, from vegetables to brightly colored sweets, soups, fried fish on a stick and exotic fruit smoothies. We grazed our way through the market, and we especially enjoyed the novelty of ordering lunch from a vendor who had an entire kitchen set up in her small, wooden boat. Later, we hired a boat to cruise through the canals, giving us a glimpse into life in these waterside neighborhoods. When we headed back to central Bangkok stuffed with goodies, we felt lucky to have seen such a unique place. 3. Geek Out at Bangkok’s Suburban Museums. The weather was wet and gloomy on our last day, so we made the most of it by visiting some off-the-beaten path museums in Bangkok’s suburbs. Our first stop was the Siriraj Medical Museum, also known as the Museum of Death. This museum is not for the faint of heart, but anyone interested in science or medicine will find it fascinating. The grisly exhibits include specimens of genetic anomalies, cross-sections of heads and even the mummified body of one of Thailand’s most notorious serial killers. Like I said: not for the squeamish. 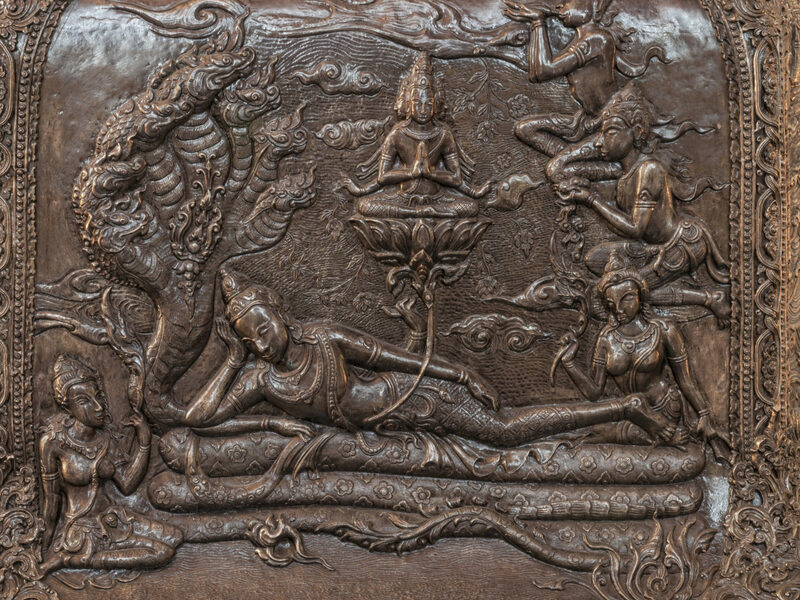 Next we headed to the Erawan Museum, home to a private temple and art collection. I knew I was going to like this gem of a destination the moment I saw the gigantic three-headed elephant sculpture towering over the entrance. The museum’s rooms were designed specifically and elaborately to house its art; walking through the multicolored labyrinths felt like wandering in a dream world. Don’t miss the ascent into the belly of the 250-ton elephant, where the celestial displays representing heaven are truly something to behold. You can get there via elevator or by climbing the spiral staircase located within one of the elephant’s legs.